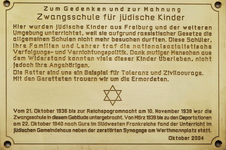 A mandatory school for Jewish children existed in Freiburg from 1936 to 1940. Over sixty students were taught in two classrooms of the present-day Lessing School. Remembrances of the mandatory school faded from memory. However, since 2001, the history of the mandatory school has been researched and revived through the work of the History Workshop and has been made public. Since 2004 a memorial plaque has been in place. Survivors have related their family history to participants of the Workshop. On this website you can learn of the fate of the students’ families. 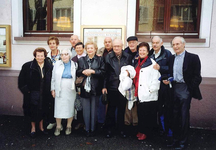 The cover picture comes from the estate of Wiltrude Hene-Lavelle and shows a jewish group of pupils on an excursion with the teacher Adolf Reutlinger. 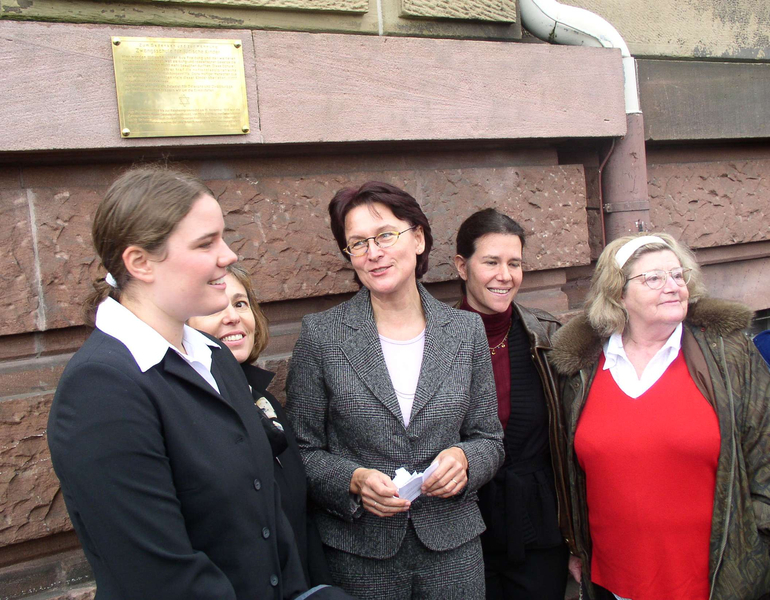 (from left) Anna Zöllner/great-granddaughter of the Silent Hero Fritz Schaffner, Deborah Towe/daughter of Anneliese Judas, Rosita Dienst-Demuth/project director, Laureen Lese/daughter of Karl Judas and Wiltrude Hene-Lavalle/survivors of the mandatory school at the inauguration of the memorial plaque 2004. 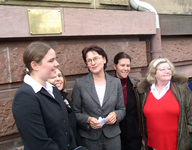 The memorial plaque was developed with scientific collaboration of Dr. Cornelia Frenkel-LeChuiton and Günther Boll. 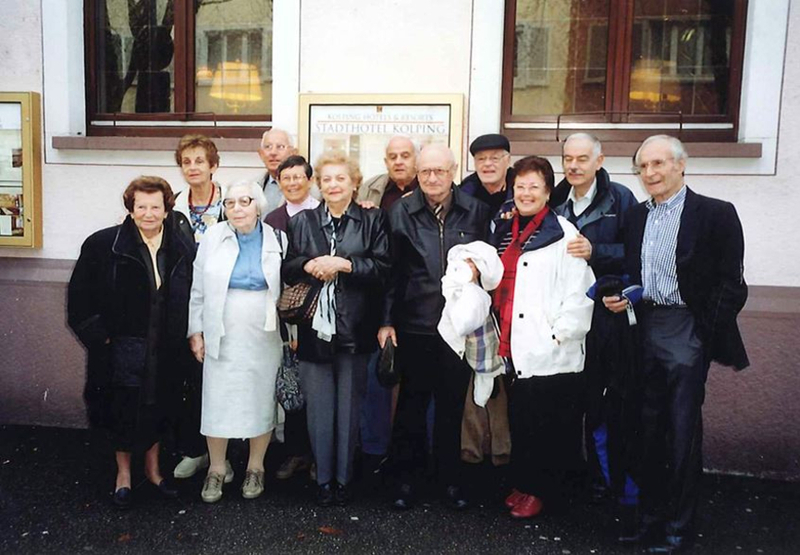 Former pupils during the inauguration of the memorial plaque 2004 (from left): Susi Grelet-Greilsheimer, Esther Thenen-Schärf, Ralph Eisemann, Herta Cohn-Weil, Richard Levi, Kurt Maier, Heinrich Alpern, Eva Cohn-Mendelsson, Manfred Schärf, Kurt Judas. Here you can find the english translation of the memorial plaque. 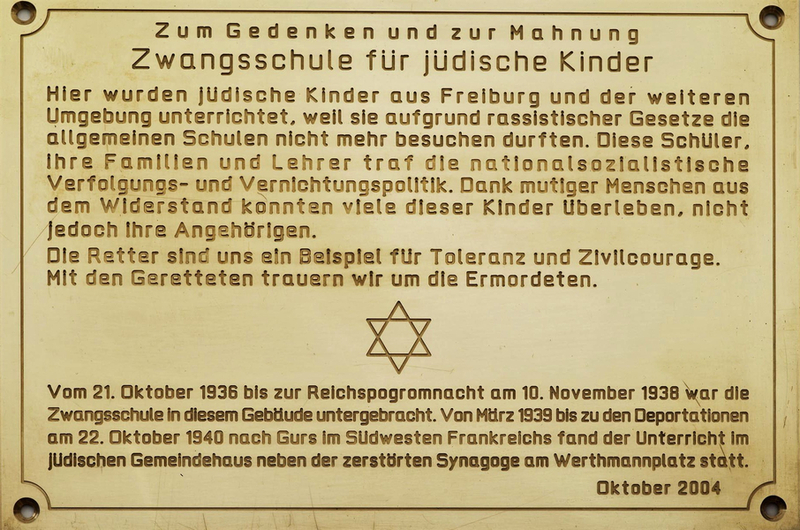 Exhibition "Zwangsschule für jüdische Kinder in Freiburg 1936-1940"